It’s been more than 20 years since the release of Norman Cook’s global breakthrough album - You’ve Come A Long Way, Baby - yet the 55-year-old remains very much a current and prominent member of the world music scene. Praised by critics for its sound and style, the album - which features two of the most popular Fatboy Slim songs, Praise You and Right Here, Right Now - brought international attention to Norman, earning him a Brit Award in 1999, and was later certified four times platinum. This year sees the global superstar heading out on tour for the umpteenth time - but on this occasion he’ll be creating something ‘unusual and completely different’. Expect a big production, a revolving stage, rave ushers and a live smiley face experience. No seat in the house will be far away from the stage. Norman first came to musical prominence in the mid-1980s during his time with indie rock band The Housemartins. After three top-10 albums and six top-20 singles, the band decided to go their separate ways. After The Housemartins split, Cook formed the electronic band Beats International in his home town of Brighton, producing number-one single Dub Be Good To Me. Fatboy Slim followed shortly afterwards, in 1996. Since then, Norman has become one of the global DJ scene’s most treasured and important figures. His infamous Big Beach Boutique gig in 2002 saw a staggering 250,000 fans flock to Brighton beach and he’s worked with musical greats aplenty, including David Byrne and Iggy Pop. Norman recently became the first DJ to perform at the top of Brighton’s i360 tower. So how was that experience, and are there any other particular locations in which he’d like to perform? As well as his upcoming tour, Norman reveals that he’s currently working on the music for a film that Julien Temple is making about Ibiza. “It’s called Ibiza: The Silent Movie, but rather than getting Paul Oakenfold, Pete Tong and me to bang on about Ibiza, it’s about the history of the island before we invaded it. It starts with the Venetians and the Romans, the Nazis and all the different people who’ve visited it over the years. It’s a lighthearted documentary, but it’s silent, there’s no vox pops and there’s no commentary. The music and the visuals tell the story. Julien has got quite an individual style, the way he makes documentaries; they’re not traditional. It’s been a pleasure to work with him - he’s been one of my favourites for many years. It’s really nice to flex different muscles but still be working within the parameters of the Ibiza soundtrack, which has been the soundtrack of my life for the last 25 years. If you’ve ever been to a Fatboy Slim gig or watched one on YouTube, you’ll absolutely know that he 100 percent means what he says about loving his trade - his enthusiasm for DJing couldn’t be more apparent than during his gigs. Having achieved so much in his life, what are Norman’s highlights? 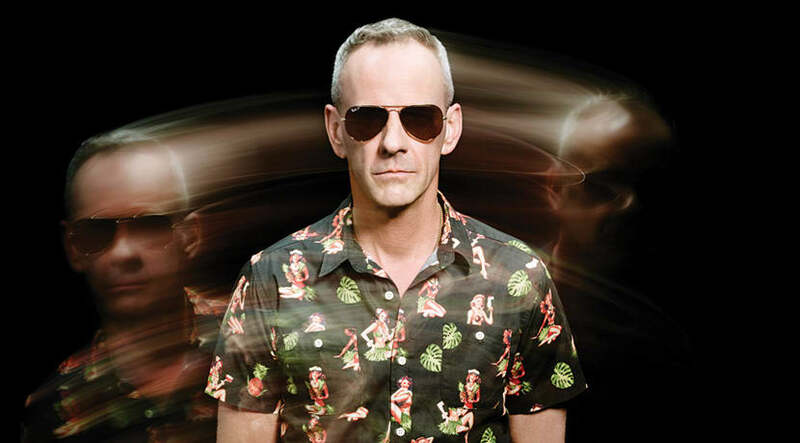 Fatboy Slim plays Arena Birmingham on Friday 22 February.